The gas industry is worth approximately $4 trillion dollars in annual revenue. With over a percent of expected growth in upcoming years, this industry has seen volatile performance in the last half decade. As revenue increased by large spikes and fell by steep declines, economic downturns and recoveries have impacted many efforts made by this industry. With the continued tensions in the middle east, growth has been hindered and the ability of new emerging companies to tap resources. Four companies account for almost 40% of the overall industry revenue. A list of United States gas company suppliers are listed below. Union Oil and Gas Inc. 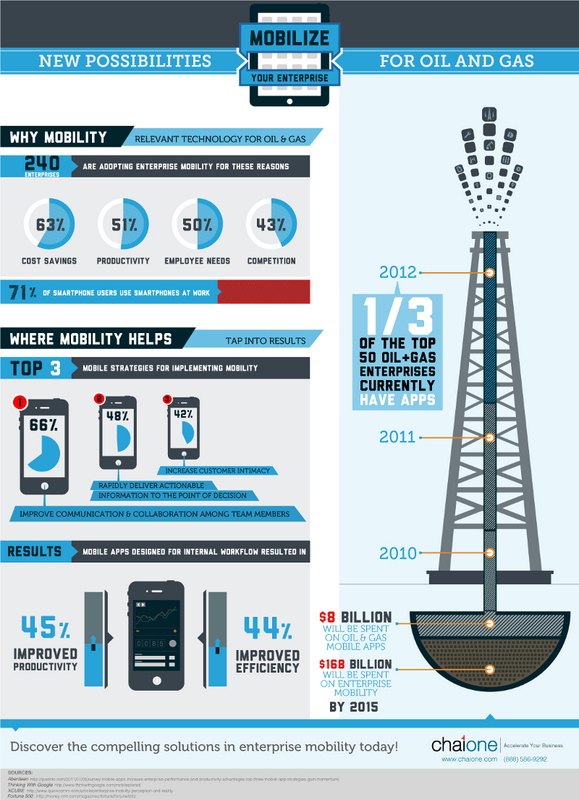 Mobile technology has impacted every industry in he world. A third of the top 50 oil and gas enterprises currently have some form of application. Mobile apps can improve productivity by 45% when designed for the specific internal workflow process. The below infographic outlines additional statistics and fact about the gas industry.